Adam studied the church’s altar. It was drowned with white roses. But there was enough glint of gold to provoke him into introspection. The gold looked real, shaped into houses that sheltered human representations of the Holy Trinity. Adam was awestruck. It looked like how men would think of heaven, while loud organ music harped in the background, the white roses like clouds at the feet of the divine figures whose hands reached out quite kindly but whose cold eyes looked like they are passing strict judgment. Adam himself suddenly felt judged, his heart wanting to question his predicament, his mind working doubly hard to move his body according to rationality. All he could do at the moment was sigh deeply. Adam felt someone nudged him and when he turned to him, Ovid, his best friend and best man, signaled a head to the far end of the aisle. Adam followed his line of sight and saw his bride slowly coming toward him. The crowd stood up and clapped. He had heard of stories about grooms crying with joy upon the sight of their brides. For Adam, there was nothing. Just a tad impatient; he simply wanted to get this wedding over with. Years in the hospitality business compelled him to make the natural smiling expression expected of him. The smile today, though, felt a notch heavier. His bride, Faye, accompanied by her parents, finally reached his side. He shook hands with his in-laws and guided her to their seat before the heavenly altar. He glanced at her. To his surprise, she looked serene and happy. This was not the case eight months ago. Adam had quarrelled, argued and threatened his parents who had wished so much for him to marry Faye. They had not stated their reasons but the atmosphere in the room where the two families met throbbed with dreams and aspirations for their businesses. Faye had sat silent beside her mother, her face looking troubled. But Adam had been more vocal about his thoughts, going against business sense and logic simply because he did not want to marry Faye, or anyone else. He did not want to marry yet. His efforts had been futile and he had proven to himself again that parents are formidable opponents in the affairs of the heart, mind and body. Now Faye beside him looking radiant in a white ball gown with her face covered with thin veil was, Adam admitted begrudgingly, a sight to behold. Clearing his throat, he turn to the old priest who, he was told, was the one who had baptized him, too. Adam wondered if this man was living a good and happy life despite his solitude. He envied him for the ability to do his vocation successfully without getting tied down. 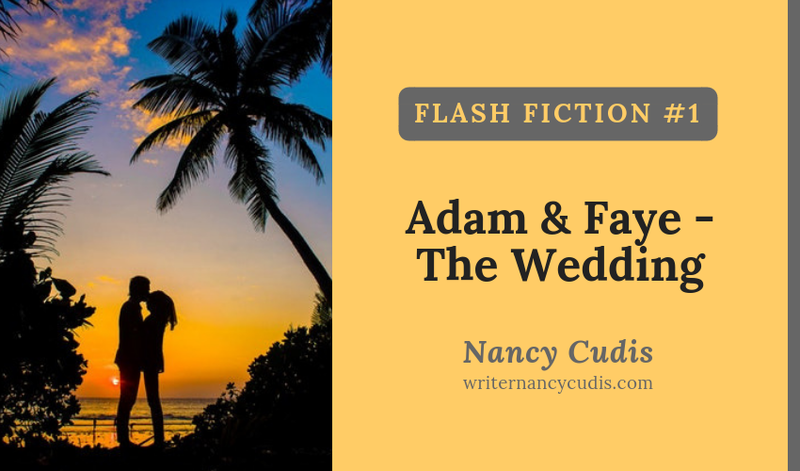 Adam tried to picture his married life after this formal event but his imagination could not go past the fact that he married someone who was almost a complete stranger. Ahem. The sound from the priest broke through his thoughts and before Adam knew it, the ceremony already arrived at the time to exchange rings. Momentarily, Adam was gripped by the heavy realization that there was no turning back now. Within him, he staggered to compose himself as he put the ring for his wife. At the end of the wedding, he swiftly kissed his wife full on the lips, just as he had resolved himself to do, which he saw surprised Faye, because it was expected of him, a man high up in the ladder who can put on a grand show, and naturally, much to his own expectation, the big crowd cheered louder than the piano. To Adam, the sounds in the church during his wedding was like what men imagined heaven to be, loud and joyous, but it did not feel like heaven to him at all. All characters and events are fictional. All Rights Reserved. Nancy Cudis-Ucag.